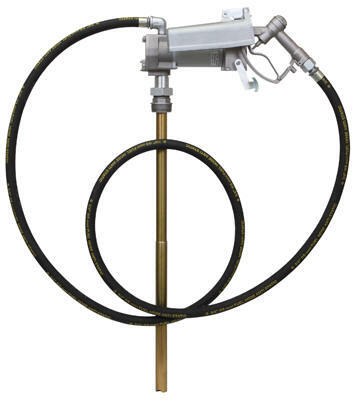 Heavy duty industrial grade fuel pumps are designed for everyday use in agriculture, construction, automotive, and industrial applications. Rain and weather proof for outdoor applications. Lightweight, yet strong, non-corroding aluminum die cast construction. Geared design makes the pump tolerant to contaminants in fuel. cUL listed motor. Duty cycle: 30 minutes ON / 30 minutes OFF. Recommended use: Gasoline, Diesel, E15 Fuel, Kerosene, Bio Diesel (B20). 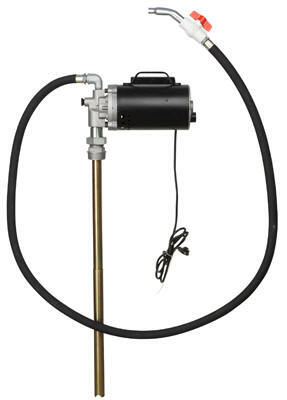 Heavy duty industrial grade high flow fuel pump is designed for everyday use in agriculture, construction, automotive, and industrial applications. Rain and weather proof for outdoor applications. Lightweight, yet strong, non-corroding aluminum die cast construction. Geared design makes the pump tolerant to contaminants in fuel. cUL listed motor. Duty cycle: 30 minutes ON / 30 minutes OFF. Recommended use: Gasoline, Diesel, E15 Fuel, Kerosene, Bio Diesel (B20). Portable diesel transfer pumps designed for everyday use in agriculture, construction, automotive, and industrial applications. Lightweight, yet strong, non-corroding aluminum die cast construction. Self-priming vane pump design. Base mounted and complete with lift handle. Includes hose barbs and a battery cable. 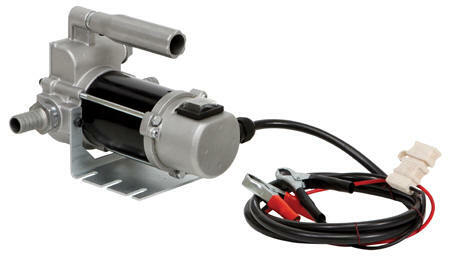 Model PUMP-E-12-ST comes with suction and delivery hoses and a manual fuel control nozzle. Duty cycle: 30 minutes ON / 30 minutes OFF. Recommended use: Diesel, Kerosene. Diesel transfer pump is ideal for use on stationary tanks, fixed fuel transferring systems and dispensers, and other similar industrial applications. Lightweight, yet strong, non-corroding aluminum die cast construction. Self-priming vane pump. Continuous duty cycle with thermal overload protection. Contains a power cord with a US socket. Recommended use: Diesel, Kerosene. Diaphragm transfer pump designed for dispensing DEF. Lightweight non-corroding polypropylene body that is rain and weather proof. 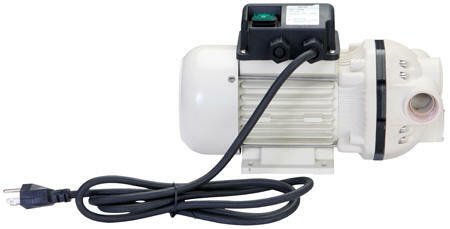 Pump has a self-priming design and an inlet & outlet fitting with 3/4 hose barbs. Duty cycle: 30 minutes ON / 30 minutes OFF. Recommended use: DEF, Adblue, Urea, Water, Antifreeze, Detergents. Do not use: Diesel, Kerosene, Gasoline, Oils. 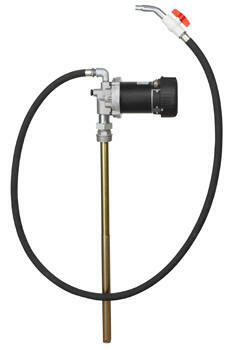 Heavy duty oil pumps designed specifically to transfer bulk oils, hydraulic oils, antifreeze, or antifreeze mixes. 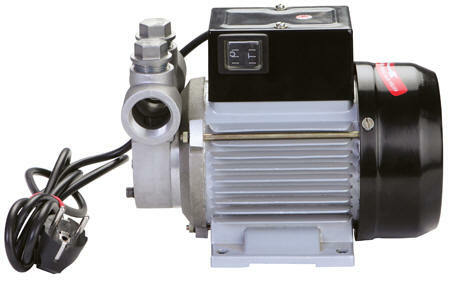 Pump has a non-corroding aluminum die cast body. It also includes an internal bypass valve to bypass flow if discharge pressure exceeds bypass valve setting. Built-in 2" bung adaptor for mounting directly onto drums and tanks. Can also be used to transfer used oil. Just fitting a screen onto the suction tube makes it effective for transferring used oil.